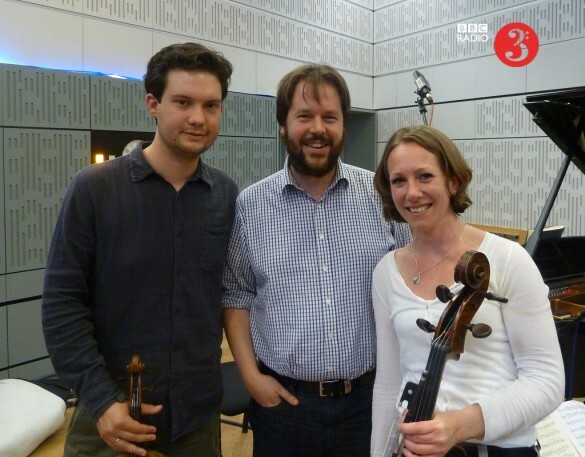 I’m still buzzing after the BBC Radio 3 interview and broadcast with the Phoenix Piano Trio on In Tune with Sean Rafferty. 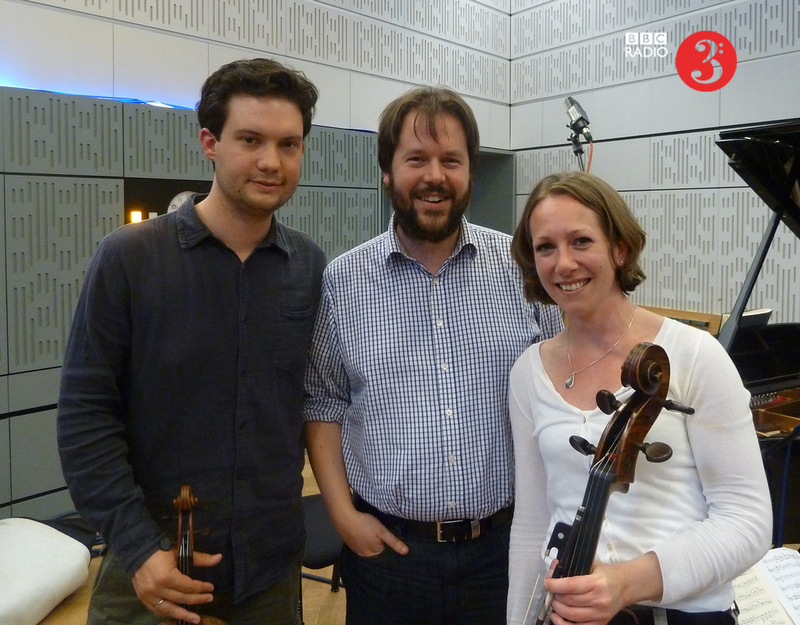 They talked about and played a movement from my new piece for them, Klaviertrio im Geiste. They played the Scherzo, which is controlled pitch descent using notes from Beethoven’s Ghost Trio, second movement (the same piano ‘tremolo’ that appears there). The piano descends exponentially, the strings descend linearly. This is all part of my increasing use of process composition. Hopefully, it doesn’t sound clinical or mechanical, but instead gusty and with a natural ‘fall’ towards the end.